The beauty industry has always been influenced by ancient traditions stemming from different cultures. 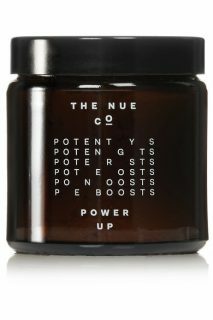 The result – a wave of products, tools and treatments that fuse together the modern techniques and traditional practices. 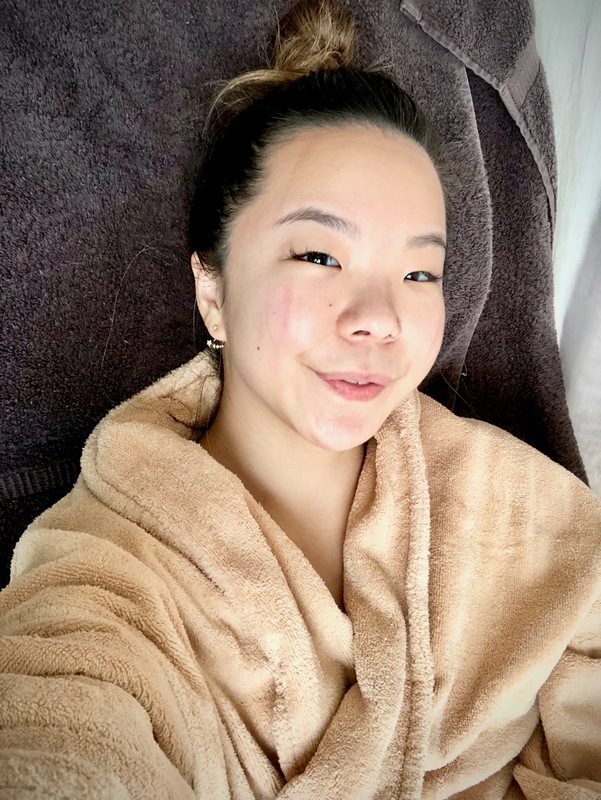 Gua Sha is one such Eastern-influenced techniques, a ‘scraping’ body treatment from China that has spread to the mainstream beauty world, which my grandmother, and even Gwyneth Paltrow swears by. 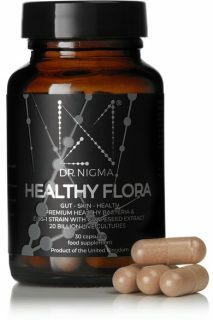 The treatment is believed to have detoxing benefits, wherein toxins are flushed out through scraping, and, additionally, blood circulation is encouraged. 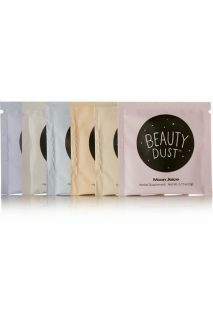 It even presents the use of sprouted Gua Sha tools for the face, and Gua Sha facials. 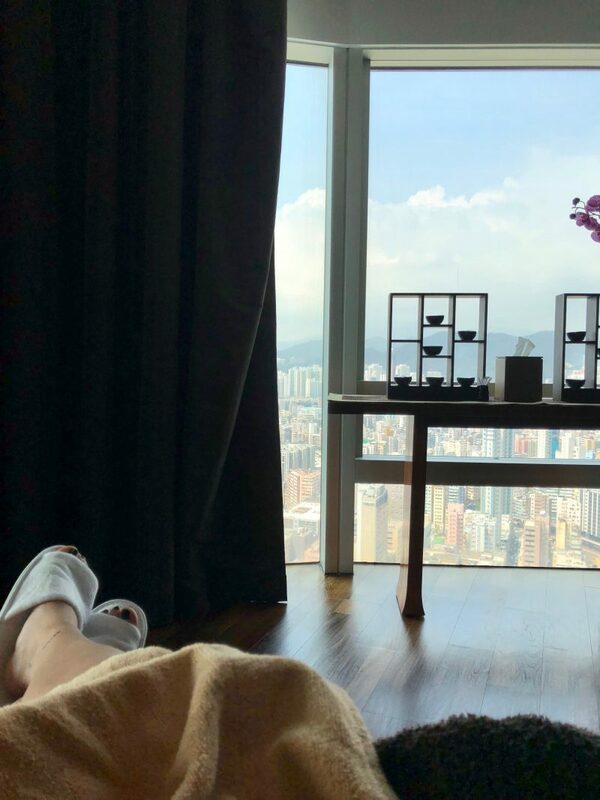 Two weeks ago, I was back in Hong Kong, and decided to try a Gua Sha treatment in its homeland. What better way than to go back to basics, and experience the native form of that chic rose quartz Gua Sha tool, which you’ve peeked on Instagram? 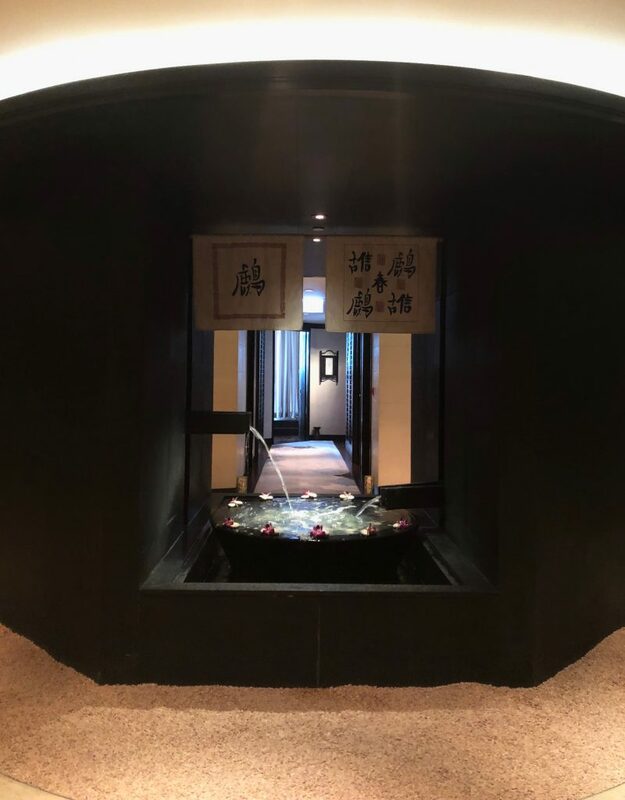 Arriving at the Chuan Spa, I was explained in detail their Chinese medicine-inspired, and personalized treatments based on the five ‘Wu Xing’ elements of metal, wood, water, fire, and earth. 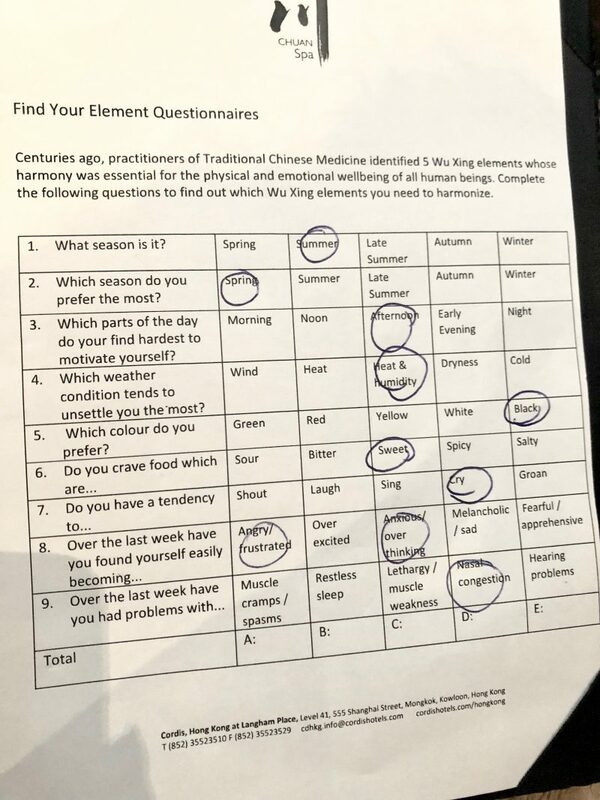 These elements are considered essential components in the Chinese Medicine in order to achieve healthy harmony. Surrounded by the soothing sound of their fountain, and utopian wooden and bamboo decor, as a welcome ritual. 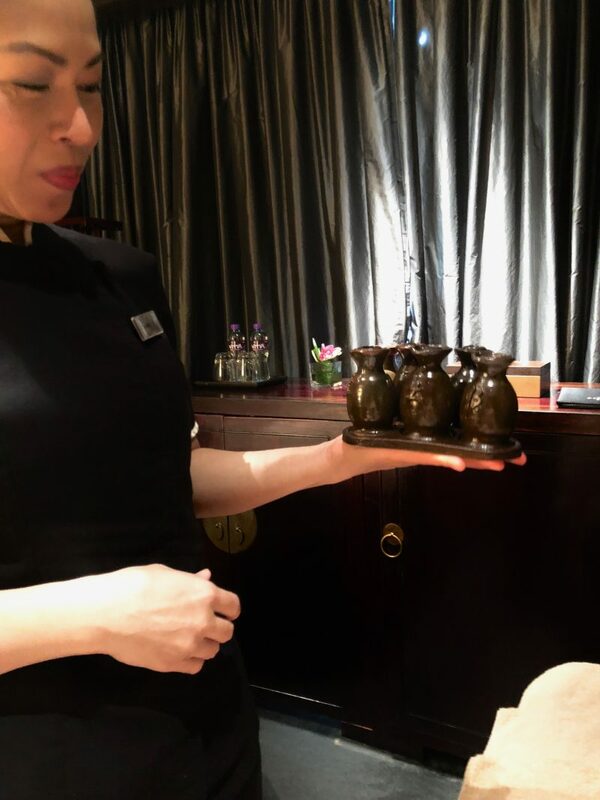 I was offered some hot Chinese tea. Then, I was furnished a questionnaire to analyze my health. Out of the five elements mentioned earlier, as per the questionnaire, I needed to rebalance ‘earth’. This unbalance and discord is apparent through a disruption within my spleen, stomach muscles, mouth, lips and sense of taste. Also, according to my responses, I tend to worry too much (true), and that I over-analyze everything (also true). 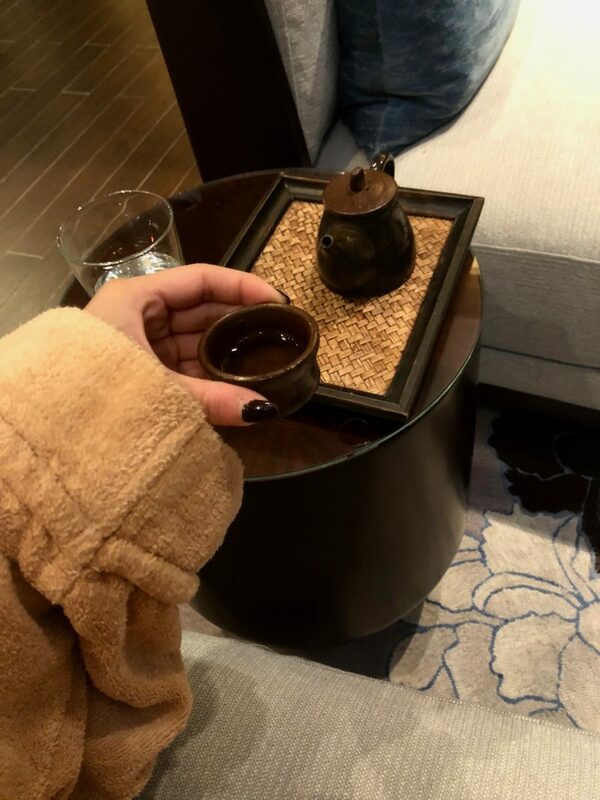 With my element identified, I was invited to the treatment room, where my masseuse introduced me to an oil mixture of chamomile, lemon, lime and rosemary, specially catered toward ‘Earth’ re-balancing. She also showed me a small cow horn scraper for the Gua Sha scraping. So, there I was, lying face down on a massage bed and slowly relaxing as the masseuse massaged my back in order to prepare for the scraping. With more essential oil, she laid down the cow horn and began the treatment! The first thing I noticed was not the scraping, but the sharp, scraping sounds! Thankfully, the sounds did not match the sensation, indeed, the scrapes were strong but not painful, and fast but not aggressive. The only way I can describe how I felt like, was that I was an avocado, and she was scooping avocado out with a spoon (sorry, I am a true millennial and #iloveavocados). Her motions were rhythmic, scraping all across my shoulders and up and down my back, targeting muscles that felt particularly strained. Admittedly, it seems slightly uncomfortable at times, but I grew accustomed to it shortly. The treatment lasted for 60 minutes and was followed by relaxing massage to soothe my muscles. When you google ‘Gua Sha results’, you will see nightmarish photos of people’s back that look as if an animal has attacked them. So, I had full expectations that my back was going to look ridiculous. Yet, when I asked my masseuse, ‘How bad is it?’ She told me my body is in good condition – Hallelujah! and my bruises quickly disappeared during the treatment. 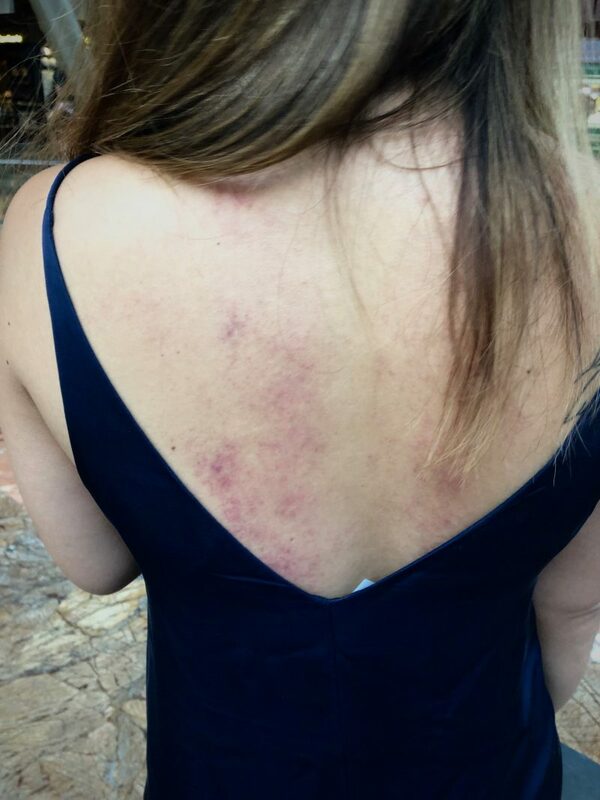 The post-Gua Sha pictures that my worried boyfriend took of my bruised back were scary, but these annoying marks, too, quickly faded away. With an office, laptop-facing job, I have tensed-up shoulders and a tired neck, but after Gua Sha, my back felt lighter, looser, and most definitely scraped of toxins. 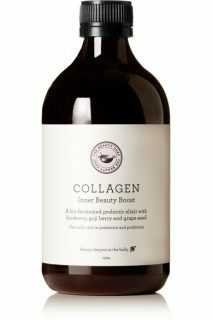 In fact, the detoxifying benefits of the treatment are pretty evident. It’s not a ritual easily achieved at home, but I recommend it to anyone who suffers from muscle fatigue or tension! In the meantime, I will be reporting back to my grandmother, who will surely be proud of my Chinese heritage-exploring self-care adventures. Find out more at our IGTV channel or follow our wellness journey with me here.